The Japan Society of New York will host a viewing of the live-action movie, Teiichi: Battle of Supreme High starring Kamen Rider and Super Sentai alums. 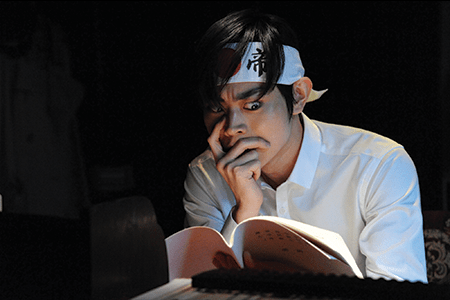 On Friday, July 21st at 9:30 PM, New York’s Japan Society will screen the movie starring Masaki Suda, known for his role as Philip in Kamen Rider W. The cast also includes Ryoma Takeuchi, who portrayed Tomari Shinnosuke in Kamen Rider Drive, and Jun Shison, Right Suzuki/ToQ 1gou in Ressha Sentai ToQger. Teiichi: Battle of Supreme High centers around Teiichi Akaba (played by Masaki), a high-school boy obsessed with crushing the competition and becoming prime minister to rule his own country. The movie will be in Japanese with English subtitles. Tickets are $10 for Japan Society members, $11 for seniors and students, and $14 for the general public.